Refunds & Cancellations | Armed Missouri, Inc.
We understand that there are occasions in which it is necessary for you to cancel your attendance in a class. We ask that you make every effort to call or email us as far in advance as possible if there is any reason you won’t be in attendance on the day of your course. We generally prefer to use whatever payment you have given us toward the next available class. However, if a refund is necessary, we employ two different refund and cancellation policies, depending on the course and/or facility. Please see below for these policies. We will offer a full refund on any amount paid for a course less the cost of any materials, equipment, PayPal fees, or any other associated costs for any cancellation on any of the following courses when taught at our facility or at Gateway Gun Club. Classes conducted at our facility by a guest instructor. 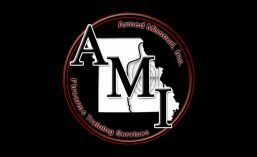 Classes conducted by Armed Missouri, Inc. at any location other than our facility or Gateway Gun Club. On extremely rare occasions we may be forced to cancel a class due to severely inclement weather or another unforeseen circumstance. If this happens we will make every effort to contact all registered students as soon as the decision to cancel has been made. Our normal contact procedure is as follows. We will send an email to all students to the email address provided during registration asking for an email response to confirm notification has been received. Any student that doesn’t respond by email within 24 hours will be contacted on the phone number provided at the time of registration. A voice mail will be left if necessary asking for a return call or email for confirmation. PLEASE NOTE: We will never cancel a class due to low attendance. We always conduct any class listed on our Course Calendar regardless of the number of students registered.